When PMS comes a-knocking, so do the cravings for binge foods! If you’re dying to stuff your face, check out these goodies that you can pig out on without the guilt. 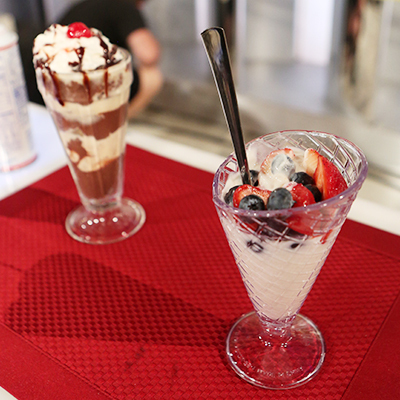 Craving an Ice Cream Sundae? 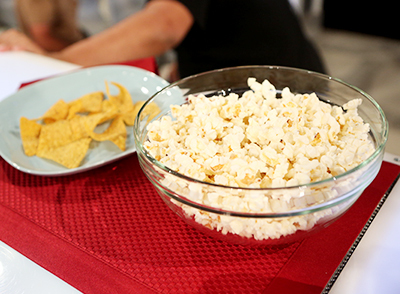 Instead of chowing down on the whole bag, try air-popped popcorn with Italian seasoning to satisfy that craving. Four cups of the popcorn = 125 calories! 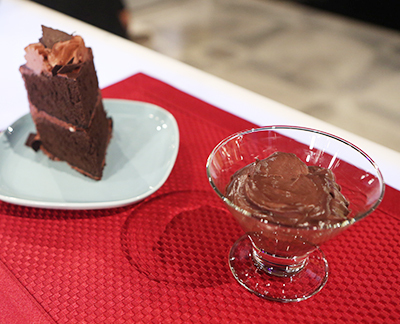 Swap that 506-calorie slice of chocolate cake and try sugar-free chocolate pudding instead! “It’s guilt-free at only 60 calories a cup,” Tamera says. Craving a Fat, Juicy Cheeseburger? Instead of indulging in 670 calories of cheesy goodness, try a veggie burger for a healthier choice and hold off on the cheese. It’s important to know that while a veggie burger is lower in calories and fat, both choices are high in sodium. When all else fails, go for a salad, ladies! “That time of the month” is different for every woman, but most ladies can relate to bloating, cravings and mood swings. 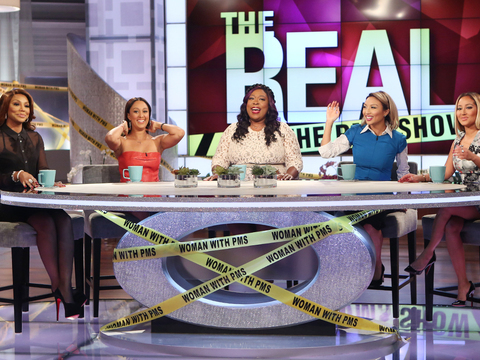 If you wanna know that it’s REAL, Loni says you should give your guy the tampon test! Ask him to buy your time-of-the-month necessities, and see if he’ll do it. 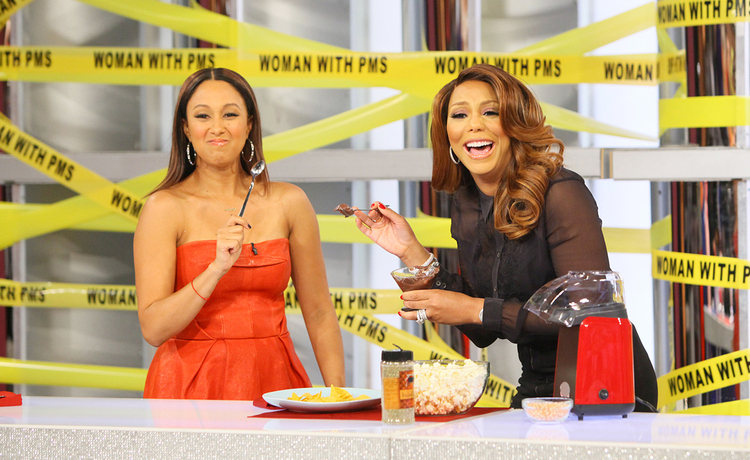 Watch this clip to see if Tamera’s hubby Adam passed the test. Just because you crave comfort doesn’t mean your style has to suffer.